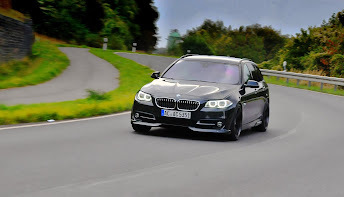 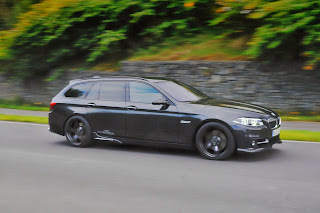 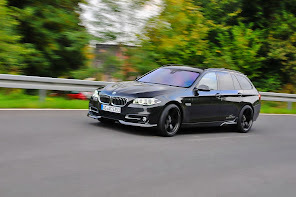 AC Schnitzer introduced its tuning package for the BMW 5 Series Touring. The package includes performance and styling enhancements for all the 5 series engine offerings whether it's the entry level 520d or the top of the range 550i. 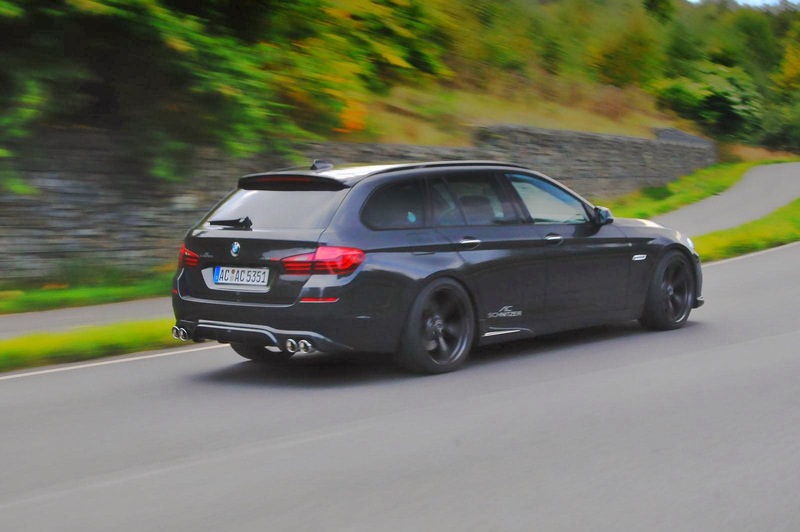 The latter can be tuned to produce as much as 525 Hp! Aesthetically, the aerodynamic kit includes a front splitter, new side skirts, a rear spoiler, a vented hood and a redesigned rear bumper. 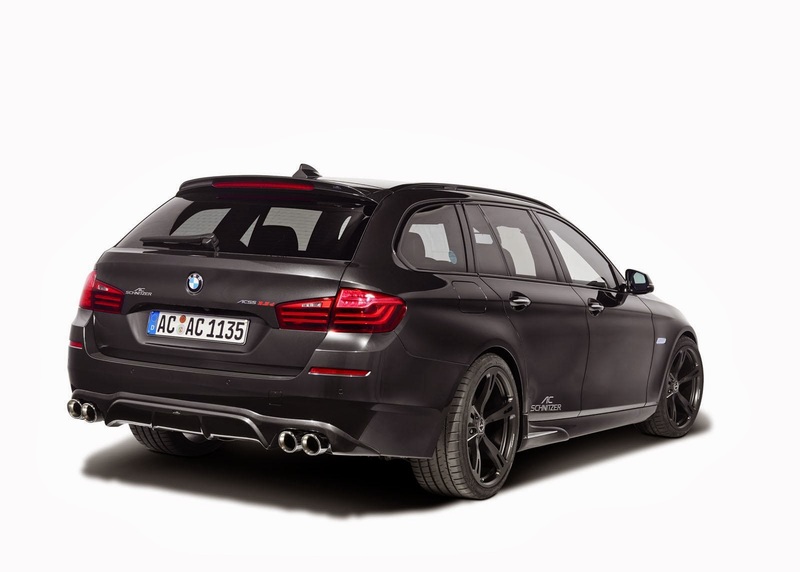 Also part of the package are the sports exhaust system, the 25 millimeters lowering kit and let's not forget AC Schnitzer's beautiful and easily recognizable wheels that can be had in 18 to 21 inches. Full details in the press release and more pictures after the jump. components and accessories for the interior. 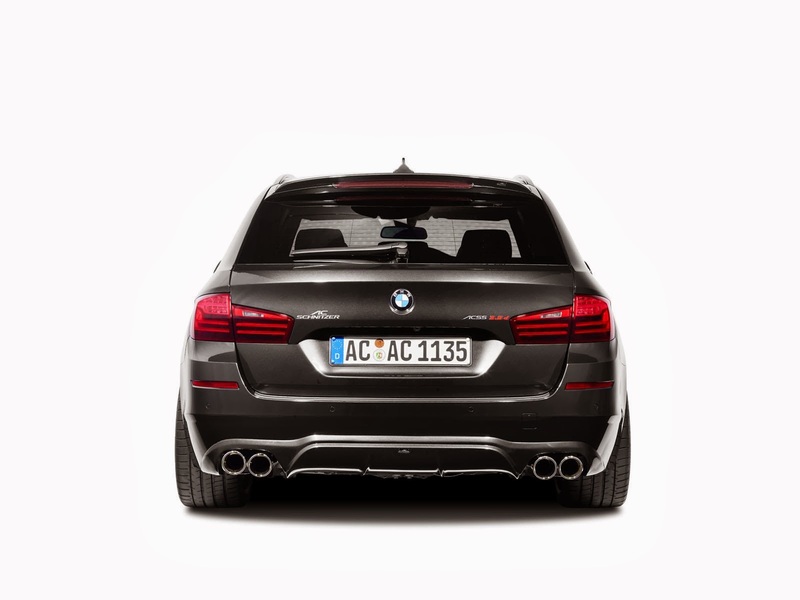 Sports rear silencers made of stainless steel with chromed tailpipes provide the sonorous note. 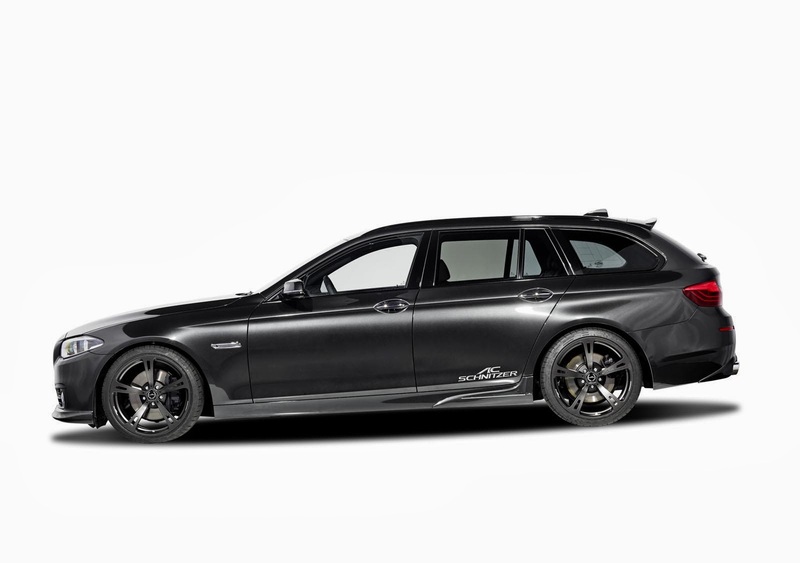 flyweight at just 11 kg. 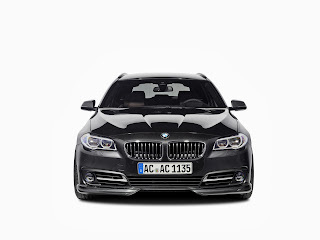 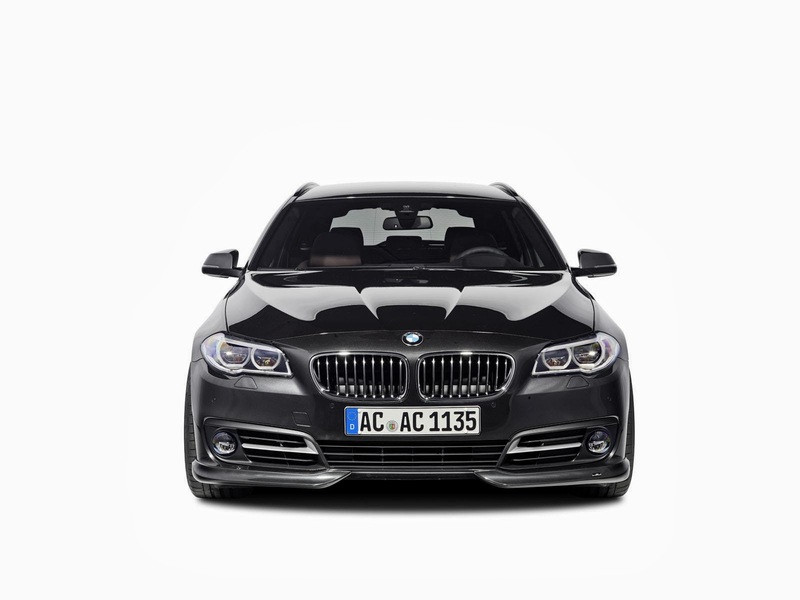 A complete aerodynamic bodykit is also part of the AC Schnitzer special accessory range. 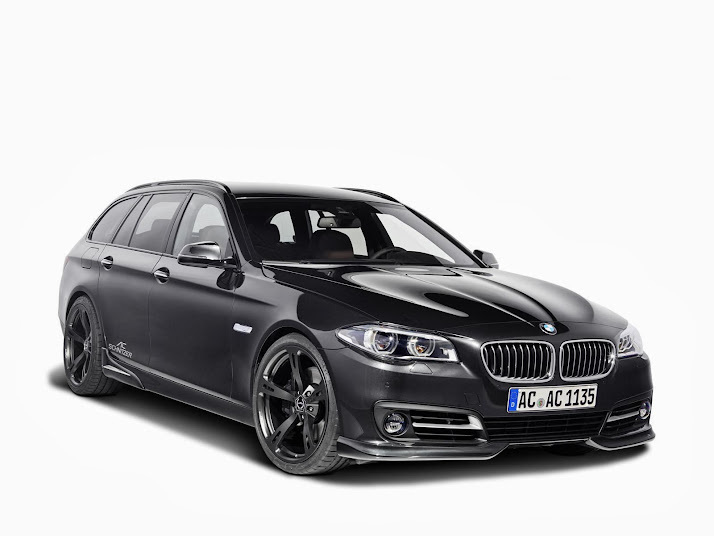 AC Schnitzer aluminium gear shift knob "Black Line"